Brokered deposits come with higher interest rates than other CDs. 1. What Does .PK Mean After a Stock Symbol? 2. "Are IRA Accounts Up to $250,000 Insured by the FDIC?" Brokered deposits involve deposit brokers, who place these investment instruments in investors' hands. Banks sell deposits or certificates of deposit with large denominations to brokers, who then divide these huge amounts into smaller, more manageable "pieces." The brokers then resell these smaller denominations to their customers, sometimes even to qualified smaller banks. Brokered deposits are attractive to individuals and banks because they tend to offer higher than typical interest rates. A brokered deposit is a portion of a larger deposit or certificate of deposit that has been sold to a deposit broker and segmented into smaller portions for individual investors. Individual and corporate customers should investigate the bank of origin of brokered deposits. Do not automatically assume that brokered deposits are insured by the Federal Deposit Insurance Corporation or National Credit Union Administration. Because the broker cannot offer deposit insurance, you must evaluate the strength of the bank offering the insurance on the CD. If the issuing bank should fail, even if your investment is $250,000 or less and insured, you'll lose any unpaid or future interest. Although not defined by statute or specific regulations, core deposits are the foundation of all banks. Core deposits are stable, low-cost deposits that grow slowly and typically aren't interest-rate sensitive. An example is the traditional savings account. Brokered deposits, on the other hand, are larger, often volatile and highly sensitive to interest rates. This increases their risk. The FDIC defines brokered deposits as any funds accepted through a deposit broker. Any person in the business of placing deposits or facilitating placement of third-party funds with an insured financial institution is a deposit broker. Financial institutions and their employees, trustees and pension plan advisers are exempt from the deposit broker definition even when they arrange deposits for individuals or banks. Only banks that the FDIC defines as "well capitalized" are permitted to freely accept brokered deposits. Even those banks deemed "adequately capitalized" are prohibited from accepting brokered deposits unless they obtain a waiver from the FDIC. 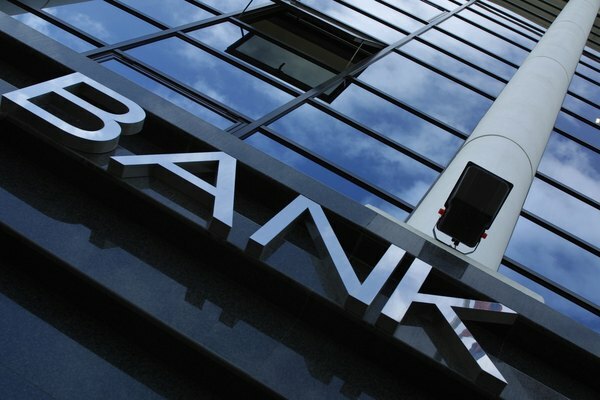 Should a bank become "undercapitalized," it is prohibited from accepting, renewing or rolling over any brokered deposits. Federal examiners also view brokered deposits as riskier investments, leading many well-capitalized banks to avoid this source of funds. While not a formal restriction, an examiner's reluctance to embrace brokered deposits discourages bank participation. Banks and credit unions need cash to make loans. Brokered deposits help them get the cash they need. FDIC understands this need and the solutions offered by brokered deposits. Adequately capitalized institutions can -- and do -- receive FDIC waivers allowing them to accept brokered deposits to help avoid liquidity problems. Individual investors participate in brokered deposits to receive the typically higher interest rates they offer. "The Term ""DRIP"" in Reference to the Stock Market"
Are All US Banks Insured by the FDIC? Can Banks Close Retirement Accounts? What Is an IRA Time Deposit Account?